August 19, 2016 By JRL, Esq. As you may know, the annual gift tax exclusion is currently $14,000 per person, per year. However, due to the estate tax lifetime exemption amount of $5,450,000 (for 2016), the gift and estate tax has become either irrelevant or arbitrary for 99% of Americans. The estate tax simply does not affect too many people anymore. Thus, the $14,000 gift tax exclusion is arguably irrelevant economically speaking. For those of greater wealth, a new endowment type model of gift planning may be superior to the traditional transfer tax-oriented model. When projecting long-term financial security, oftentimes a Monte Carlo simulation is used. By incorporating a line item for gifting, whether to a charity, heirs, or for additional luxury purchases, into the Monte Carlo simulation, it may be that you come to a better threshold analysis for determining appropriate gifts from an economic perspective. In other words, you will better determine what can be given away in any given year without undermining your long-term financial objectives. Once the economic parameters are set, you can then better evaluate exactly how the gift transfers can be made from a tax perspective. 1. Determine the percentage likelihood that you want for financial comfort. In other words, when running the financial projections, are you comfortable with an 80% probability of not running out of funds by age 95 in order to maximize current economic gifts to your children? Or perhaps you are someone who is willing to give your entire estate to charity, in which case you may prefer a higher 90% probability that you will not run out of assets. 4. Try to determine whether the donee would likely spend the funds or invest them. If it is intended that a portion of the funds would be invested, from a pure tax perspective, it is likely preferable to hold those funds in an irrevocable grantor trust so that you, as the grantor, can pay the income tax on the income earned by the investments. This will further reduce your estate by reason of the income tax “burn” on the income earned by the grantor trust. 5. 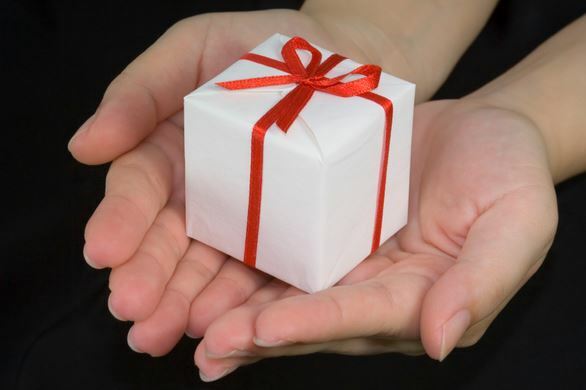 The lesser of the gift amount limited for personal considerations, or the sustainable gift, becomes the maximum determined gift. This should then be evaluated for gift and estate tax consequences. If you are in the habit of making annual gifts to your heirs, you may consider including a clause in your revocable living trust or durable power of attorney which allows the continuation of such gifts on your “historical pattern of gifts.” If you have undergone an endowment approach to annual gifting such as that discussed above, you should have well-documented support for your annual gifting program. Such a pattern and corresponding support will likely be appreciated by the Successor Trustee or Agent under your power of attorney.